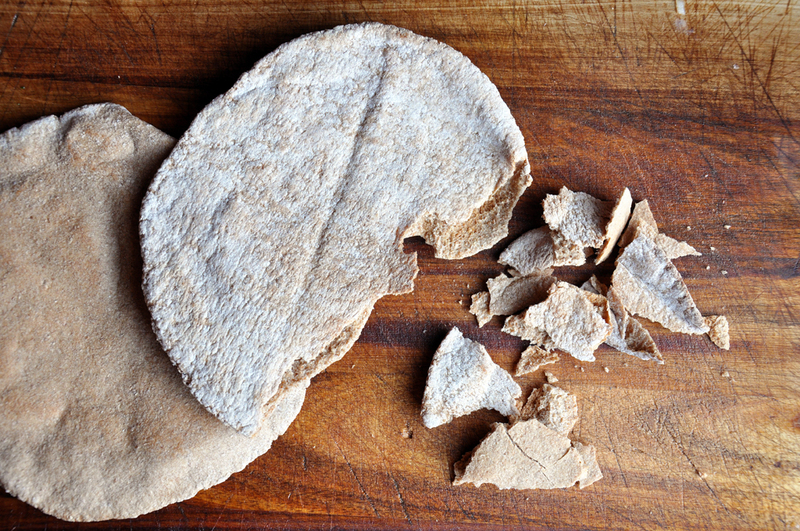 Preheat oven to 350 degrees F. Place whole pita on a baking sheet and dry out in the oven for 10 minutes. Remove and break into bite-sized pieces. Set aside. Make supremes out of the grapefruit and orange. For a how-to, check out the Vegetarianized.com YouTube video: Supreme like a supreme! 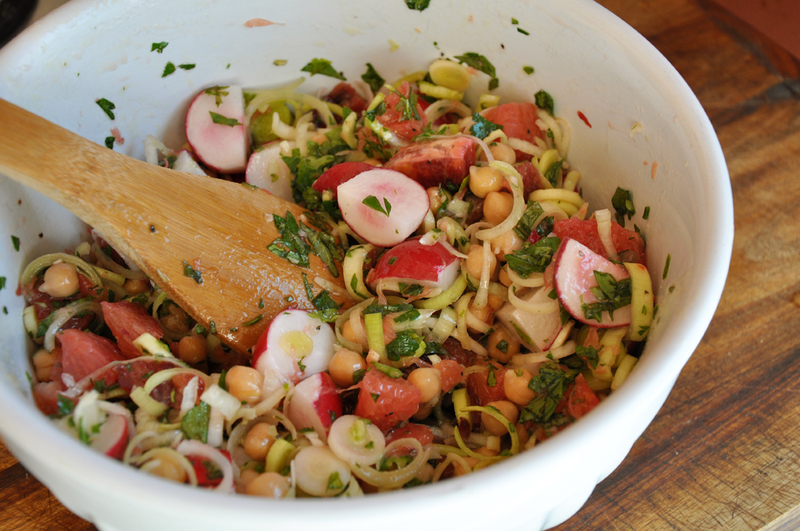 Add supremes, leeks, radishes (not leaves), parsley, mint and chickpeas to a large bowl. Set aside. 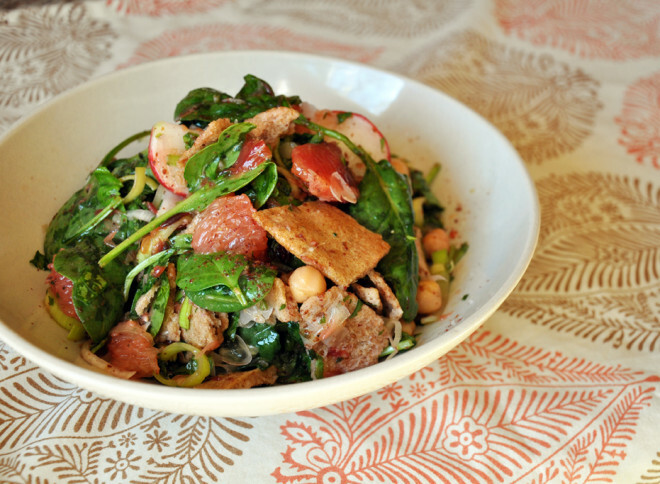 In a small bowl, whisk together EVOO, lemon juice, garlic, sumac and SnP. 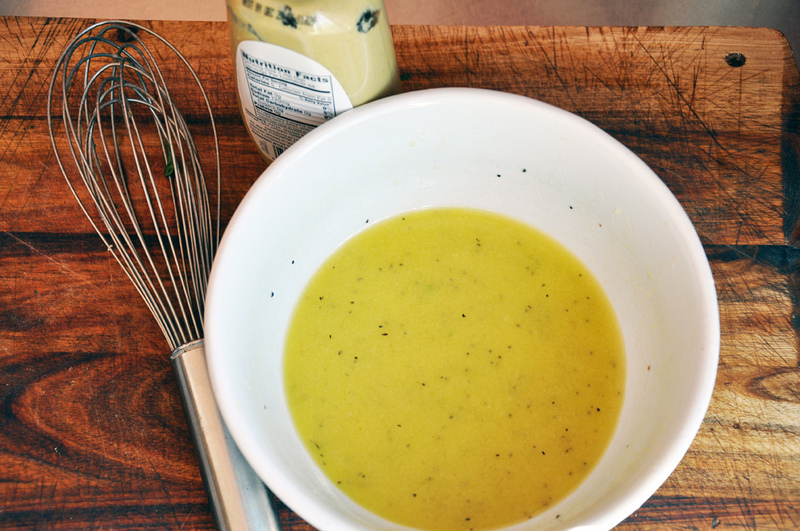 If the vinaigrette won't hold together, squeeze a little Dijon mustard in the bowl and whisk again (good trick, right?). Pour half the dressing over the vegetables, toss together and let marinate 30 minutes. 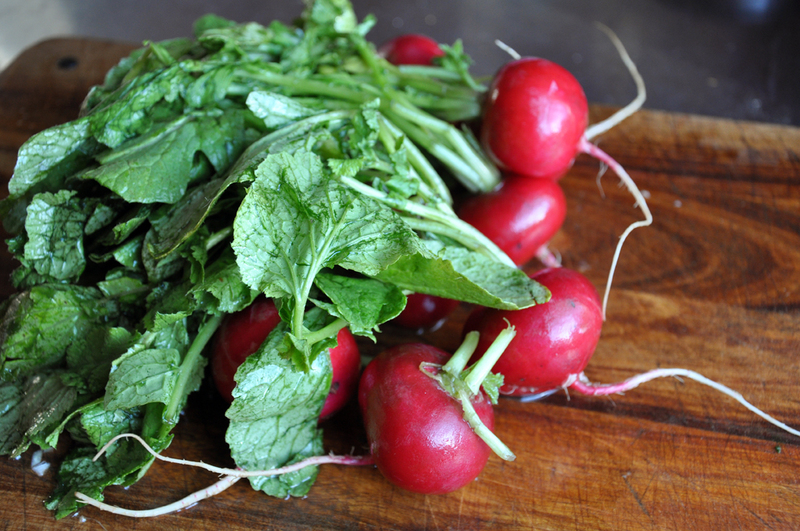 Then add the spinach leaves, radish leaves and broken pita. Toss gently. Serve immediately before the bread becomes soggy.